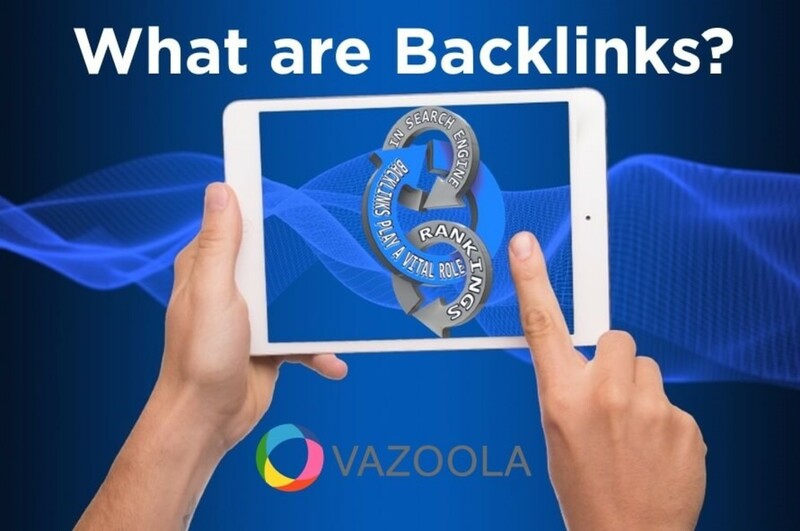 Vazoola Resources | What Are Backlinks and What Are The Different Types? The amount and quality of links to your website will affect your position in search as well as its authority. A backlink is created when one website mentions and links to another site on the web. It is akin to a vote for your site. They are also the backbone of SEO and play a huge role in how your website is ranked. Because backlinks play such a vital role in search engine rankings, whether you are actively trying to build them or letting them occur organically, it is essential that you monitor them. Backlinks make search engines happy, but they are also beneficial to the end user. When someone lands on your site, if your content is relevant and helpful to them, they will stay longer and read. If you also link to other sites about the same topic, it adds value to your site for your visitor. The reverse situation is also true for relevant websites that link to content on your site. Keep in mind that not all links are created equal. The best ones are relevant and come from high authority sites. The best link profile contains a mixture of various link types and comes from a variety of different sources. It’s not a numbers game where you should focus on acquiring as many backlinks as possible. Guest Posting: Not only will you get backlinks to your site when you write a post on another blog, you will also be getting brand recognition and reaching new audiences. This is especially helpful if you are posting on authority websites. Editorial Links: These links are highly valued and are often given without ever asking. When an influencer in your niche includes a link to your website from their authority site, it can add tremendous SEO value. Social Media: Although social media shares may not contribute directly to your search engine rankings, being active does give you more exposure for your content. The more visibility your brand gets, the higher is your perceived influence. Directory Listings: When used correctly, being listed in a relevant, legitimate, and high-quality directory can provide quality backlinks and earn referral traffic. Make sure to get the metrics on any directory before you submit your link. Being included in a directory that is created for the sole purpose of building links is considered spam and not a place you want to be listed. Internal Links: Also called deep linking, including a link from one piece of your content to another on the same site can help distribute link juice to internal pages. This will help you increase authority and improve your overall search engine optimization. Internal links tell Google which pages of your site are the most important and still relevant. Comments Links: Although they are easy to acquire, backlinks from commenting on others' blogs are typically nofollow and have a low value. If used, do so sparingly and with other types of links to balance them out. Link Wheels: Linking multiple related sites together to increase their influence and especially to link them to the primary site to drive traffic and SEO rankings. Link wheels are against Google’s Webmaster Guidelines. Article Directories: Once the rage for link building and increasing online exposure, article directories have been devalued by Google as low-quality content and gets sites penalized. Because backlinks are so powerful when it comes to improving or damaging your website rankings, it is imperative for the health of your site that you monitor them. Luckily, there are many tools to help you track your backlink profile with both free and paid versions. One of the most popular SEO tools to track backlinks is Ahrefs. They have both a free and paid version. The free one allows you to monitor ten backlinks and two domains. The paid versions range from $99/month to $999/month depending upon the level of analysis and monitoring you need. Another link intelligence tool is Majestic SEO. They claim to have the most extensive link index database. SEO professionals use both Ahrefs and Majestic - there is no consensus on which one is better. The free version of Majestic is simple to use. All you have to do is put your URL into the search box, and you will be given a quick overview of your link quality. Billing themselves as an all-in-one toolkit", SEMrush provides many tools including link analysis, referring domains' authority data, types of backlinks, and the geolocation of links. Another popular tool for monitoring your backlinks is SE Ranking. It allows you to check incoming links and works with Google Webmaster Tools. Although it is a paid tool, the cost is low starting at $7/month. Replacing Open Site Explorer, Link Explorer offers a set of competitive research link analysis tools. It is powered by a robust, live, and brand new link index. Not only do you need to pay attention to where your backlinks are coming from, but you also want to make sure that the anchor text you use is natural and includes different types. For example, you want to minimize the amount of exact match anchor text and focus on using a variety of link types including brand, URL, and partial match. As you can see, there is no one way to monitor your backlink profile. There is also no magic pill solution. As long as you are paying attention to, monitoring, and analyzing your backlinks, you can be proactive and take action, if necessary, before you suffer a penalty from the search engines. We go into more detail about backlinks, as well as other important aspects of link building in our FREE Ultimate Link Building Guide. Download your own copy today.